National HIV Testing — it’s been more than 30 years since the crisis began, and there is still stigma around testing for HIV. We do wonder when it will be the same as having your blood pressure or cholesterol levels checked. And there are people out there already doing the work to normalize HIV testing as part of taking care of our health and wellness. You’d be surprised at how many programs and services around the country are already doing it. The Gilead HIV FOCUS panel at YTH Live showcased three cities with innovative programs to normalize HIV testing for youth, and here at YTH, we have another program initiative in Oregon. Angel Rosario from AltaMed blew people’s minds with their Sin Verguenza telenovela series to educate patients on the role stigma plays as a barrier to testing. AltaMed is the largest federally funded qualified health center in the U.S.
Ruth Buzi’s team from Baylor Teen Clinics is using SMS, Facebook and webisodes to promote special testing dates and messaging around the importance of knowing your status to encourage teens to get tested. Click to see what’s going on in Houston. Annajane Yolken from DoOneThing talked about HIV testing as the one thing, that if you do it, will change everything. 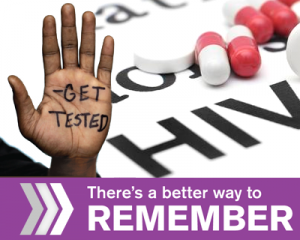 Focused on youth in Southwest Philadelphia, this multimedia campaign encourages everyone to get tested for HIV and HCV. Do one thing…for HIV Testing Day…and change everything. The Oregon Health Authority (OHA) presented in the mHealth for Youth track at the conference on their discreet, self-directed reminders program. Dano Beck from the Oregon Health Authority presented Oregon Reminders: A Better Way to Remember. With SMS, voice and email reminders for medications and HIV testing, OHA is offering an amazing, free, and authentic service for its residents. tags: herpes, HIV/AIDS, mhealth, mobile technology, Oregon Reminders, pop culture, SMS, STDs.